I was quite excited to hear from officials in the budget lock-up on Tuesday evening that the Australian aid budget was going to increase by 5% next year, from $3.9 billion to nearly $4.2 billion. Perhaps additional aid resources would be spent on the new undersea data cable, or other touted Foreign Policy White Paper initiatives. Maybe the government was finally realising the importance of a robust, consistent, and effective aid program in protecting Australia’s interests in our region. That was until we heard more of the details. The only reason the aid envelope is increasing is because it turns out $161 million of Australia’s contribution to the Asian Infrastructure Investment Bank is eligible to be classified as foreign aid. This is exactly the amount added to what was set out in the forward estimates last year. In fact, when you factor in the retroactive increases in aid, including AIIB contributions as aid in previous years, the increase is only a miserly 2%. This amounts to an increase by definition, not design. The 2018 budget leaves Australia’s aid program in much the same state it was in last year. Considering the track record of the government, this is the best we could have hoped for. I won’t labour the point, as I have made it in previous analyses, but the trend remains that Australian aid is at its lowest point of generosity in history, when considered as a proportion of gross national income (GNI). Another cut to the aid program is evident when looking over the forward estimates period: the Coalition has delayed further increases to the aid budget based on the consumer price index rate of inflation. Considering the looming election, it’s probably best not to put too much stock into any long-term projections, but this is disappointing nonetheless. Overall, considering the marginal increase, this was a relatively vanilla aid budget. Most country and sectoral allocations remain the same. There has, however, been a significant shift of aid programming into the Pacific, with funding to Papua New Guinea, Solomon Islands, and “Pacific Regional” all getting major boosts. While the majority of this funding will likely go towards the undersea data cable (the exact cost of which remains commercial-in-confidence), there are some other welcome initiatives falling under the “step change” heralded in the White Paper. These include the establishment of an Australia Pacific Security College and a comprehensive Pacific Labour Facility. This brings the total aid allocation to the Pacific close to $1.3 billion, accounting for almost 30% of the total aid budget. This increase has come at the cost of cuts to Indonesia, Cambodia, and aid administered by other government departments (mainly the Australian Federal Police as it winds down activities related to the Regional Assistance Mission to Solomon Islands). The only other discernible change in the aid budget is the expected increase to the humanitarian budget, and a new friendship grants fund that will no doubt annoy the development NGO community that would have preferred it go directly to them. Another welcome development for the Pacific, although not within the aid envelope, is the opening of a new diplomatic mission in Tuvalu, previously managed out of the Fiji post. This takes the total number of Australia’s diplomatic posts in the region to 14, which is a record for Australia historically and the most posts in the region of any country. There are other small things to like, signalling the continuing re-professionalisation of the budget process. The statistical summary of the 2016/17 aid program was again released, this time with accompanying spreadsheets. The internal aid performance review by the Department of Foreign Affairs and Trade was also released, and the budget’s “orange book” has nearly doubled in size. The Organisation for Economic Cooperation and Development and Pacific Islands Forum have also recently released reviews of the aid program that are friendly in tone but provide some important context. 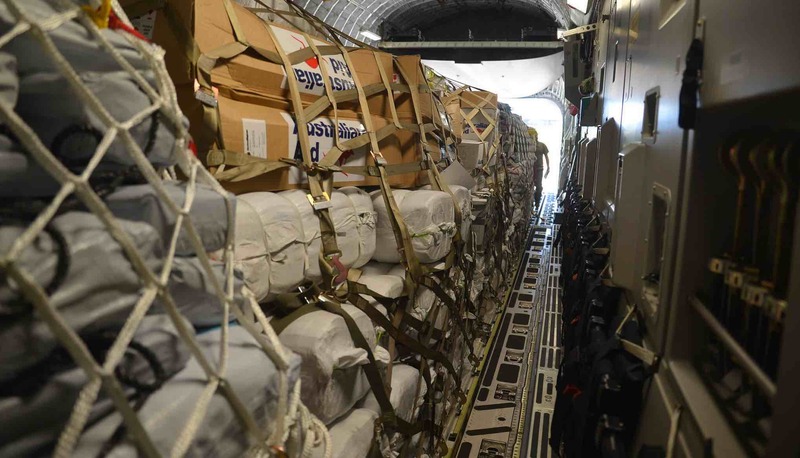 More assessment is needed regarding the unfinished business of streamlining aid design and management in DFAT, but releasing these documents is a good start. Finally, it’s easy to see it as more than coincidence that on the eve of the Australian budget, New Zealand stole the limelight among aid watchers by announcing an NZ$714 million ($667 million) increase in foreign aid spending over four years, along with approximately NZ$190 million ($177 million) more for New Zealand’s diplomatic services. This is equivalent to about a 30% increase in New Zealand’s aid program over the next four years, and will bring their aid-to-GNI ratio to 0.28%, almost a third more Australia’s. Considering that most of this additional funding will be heading to the Pacific, New Zealand’s Foreign Minister Winston Peters is clearly putting his money where his mouth is after committing earlier this year to “shift the dial” on the relationship. With friends across the ditch upstaging Australia, surely the government can do better?